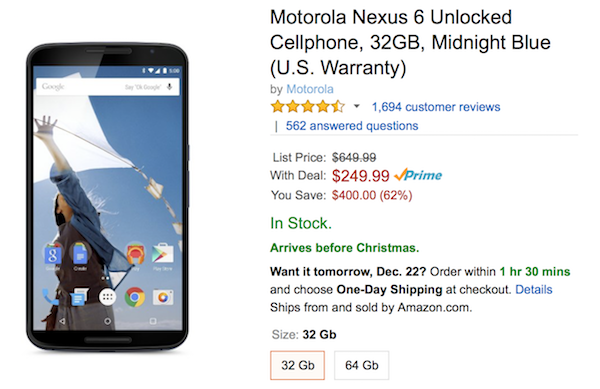 The Motorola-built Nexus 6, which was originally released with a fairly hefty SIM-free price tag of $649, is now being offered at an astonishing $249.99 for the fully unlocked 32GB model. This is the lowest price at which the handset has ever been offered at. The 2014-released Nexus 6 may no longer be Google’s current flagship device, but it’s still a significant bit of kit even by today’s standards, and now with the $250 price tag, it is unlikely we will look anywhere else. The deal is also fairly appealing considering it’s essentially price-matching the lowest outright purchase price that we’ve seen for the Android Marshmallow powered Nexus 6. Considering it falls under the Nexus brand of devices, it means that Google will continue to serve the latest Android updates to the device, which is yet another plus point for this beast. Anyone deciding to part with the $250, either for themselves or as a gift for a loved one this Christmas, will get a Nexus 6 that not only runs the latest Android 6.0.1 Marshmallow build, but that also comes with a fairly impressive set of specs. The 5.9-inch AMOLED display offers up a QHD 2560 x 1440 pixel resolution, produced from the extremely tough Corning Gorilla Glass 3. There’s also a Qualcomm Snapdragon 805 quad-core 2.7GHz processor that works in conjunction with the internal 3GB of on-board RAM to give the Nexus 6 its power. The hardware comes with either 32GB or 64GB of internal storage, but this $250 deal is limited to the 32GB variant. The 64GB variant can be grabbed today for $299.99 down from original price of $700. The decision to significantly reduce the price of the Nexus 6 comes after we originally reported that prices of the hardware were being slashed in preparation for the introduction of the new flagship, the Nexus 6P. It may not exactly be the latest and greatest Android device being sold at the moment, but it’s definitely still one of the top contenders in that price-range. The best thing about all this is that if you order it today, you will get it delivered before Christmas! Pretty sweet deal! 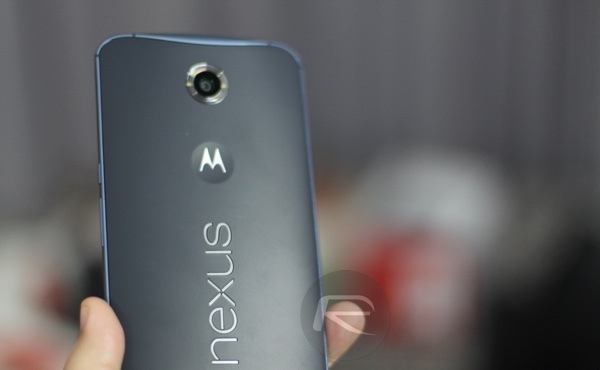 You might want to hurry though as stocks of Nexus 6 at this price may not last for long. Pity those Amazon C-words won’t ship to Australia, shafted again!